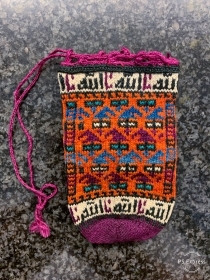 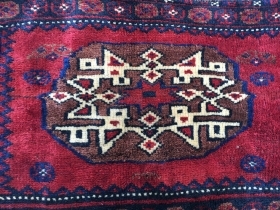 Karadja Persian old. 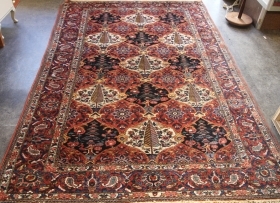 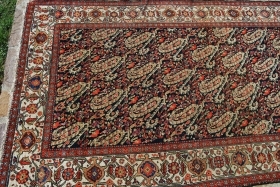 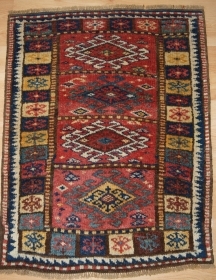 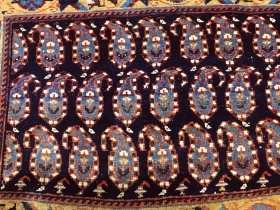 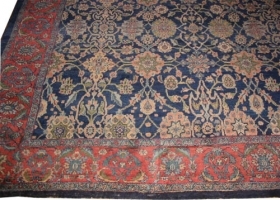 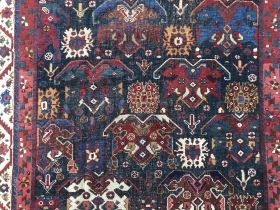 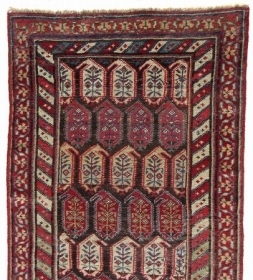 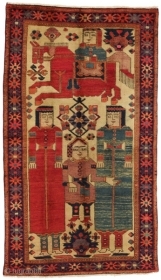 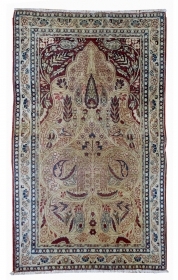 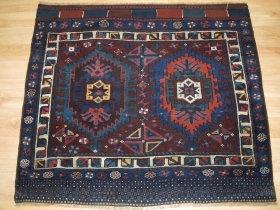 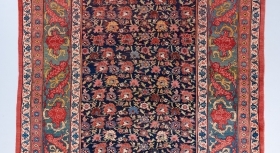 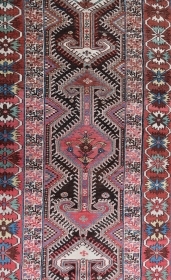 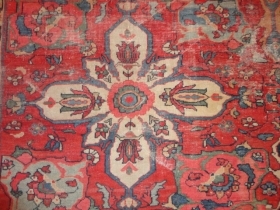 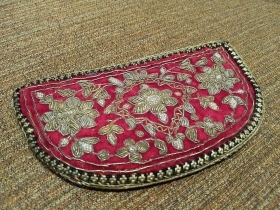 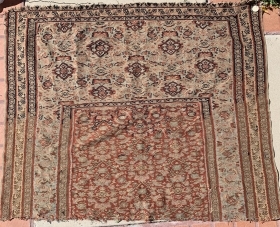 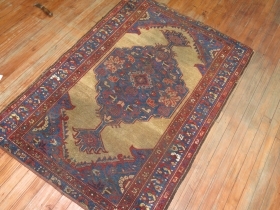 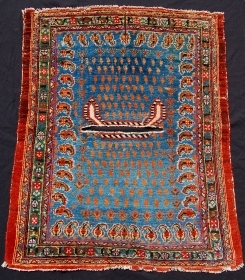 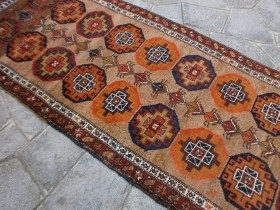 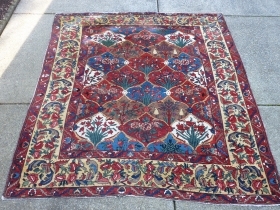 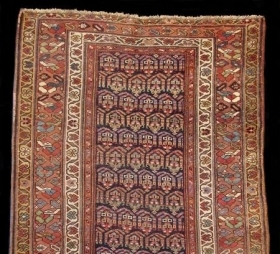 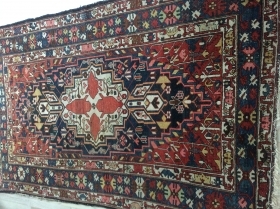 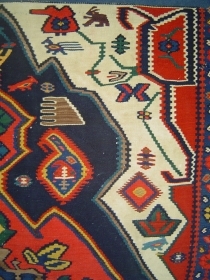 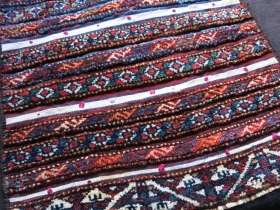 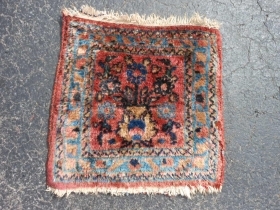 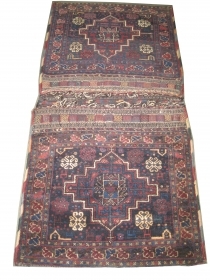 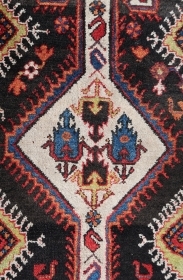 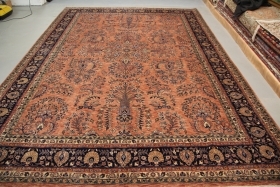 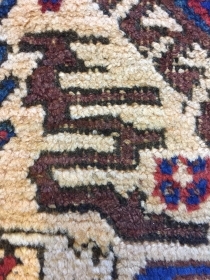 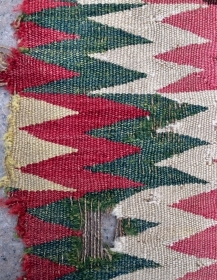 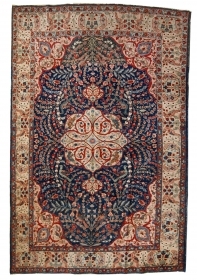 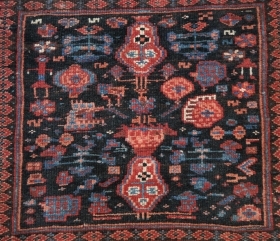 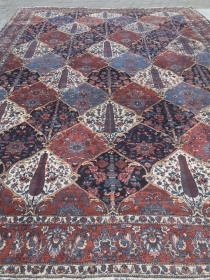 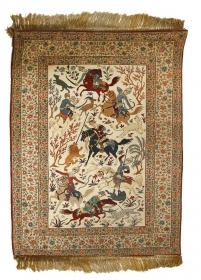 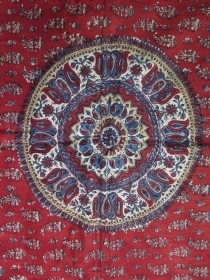 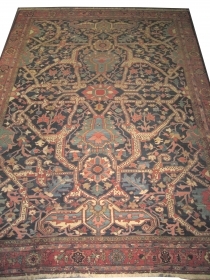 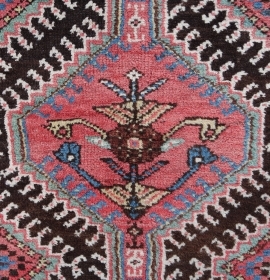 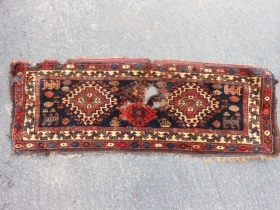 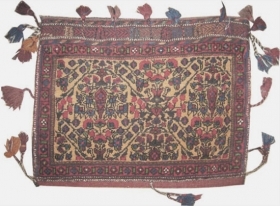 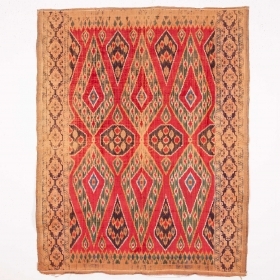 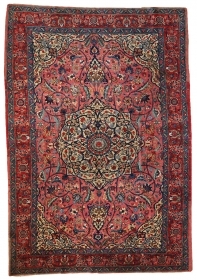 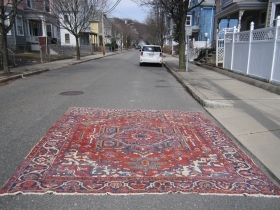 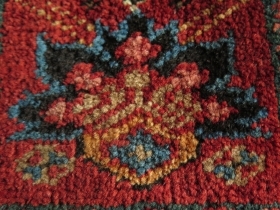 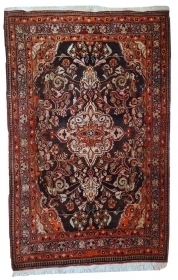 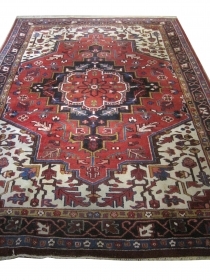 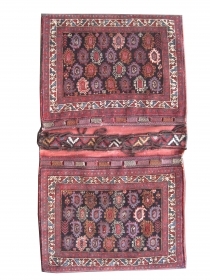 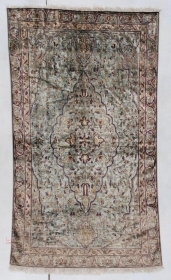 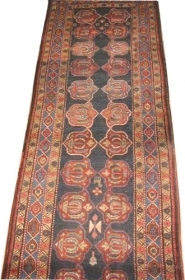 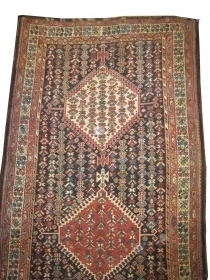 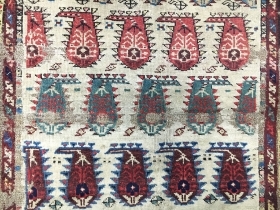 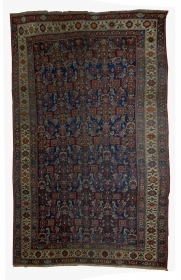 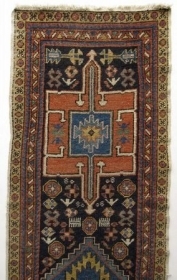 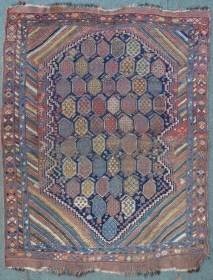 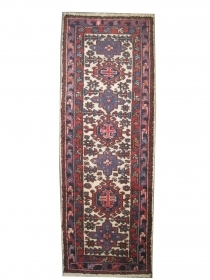 Size: 168 x 60 (cm) 5' 6" x 2' Carpet id: T-449 Seven medallions, thick pile, perfect condition. 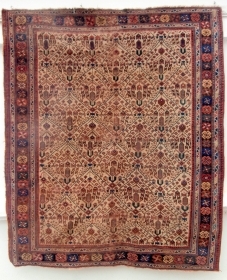 Heriz-Indo, old. 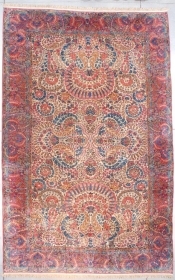 luz-1, size: 205 x 297cm. 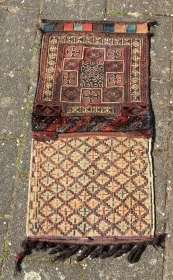 Good condition, high pile and in its original shape.